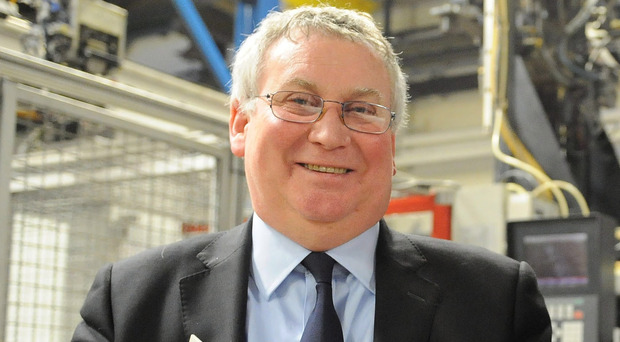 The chairman of hairbrush to aircraft parts firm Denroy Group is to receive a lifetime's achievement award from Catalyst Inc, the Belfast Telegraph can reveal. John Rainey will be named the Catalyst Inc Innovation Founder 2018. Denroy Group in Bangor makes plastics products ranging from the famous Denman International hairbrushes to medical devices and aircraft wing components. As an Innovation Founder, he follows in the footsteps of other leaders including Almac founder Sir Allen McClay, Dr William Wright of Wrightbus and Brian Conlon of First Derivatives. Mr Rainey will receive his honour at the finals of Catalyst Inc's Invent Awards on October 11 at the Waterfront in Belfast. Catalyst Inc is a hub for tech firms in Belfast and Londonderry, formerly known as the Northern Ireland Science Park. Mr Rainey said: "It is a great privilege to receive the Innovation Founder award. I feel especially pleased to be included within such a distinguished group of entrepreneurs." Ian Sheppard, managing director Northern Ireland of Bank of Ireland UK, Invent 2018 sponsor, said: "We are delighted to have another deserving recipient in John as this year's Innovation Founder. "Under his leadership, Denroy's success has been fuelled by an ambition to build a world-leading business. "Through continually investing in new product development, technical skills and talent they have not only grown a strong original business but, with vision and innovation, tactically expanded into complementary sectors."